In 2015, MaThoko's Books - an imprint that publishes queer literature in Africa - had a call for submissions for the follow-up on its first anthology, the Lambda Literary award winning Queer Africa: New and Collected Fiction. 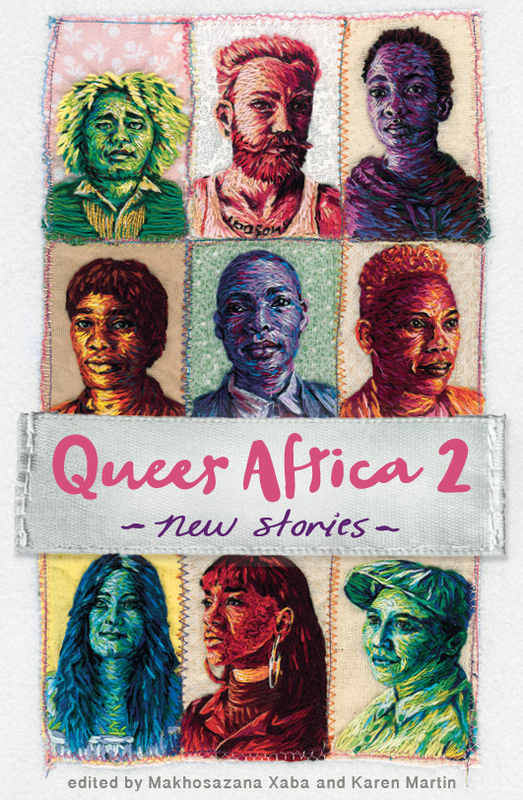 Well, here's the cover for Queer Africa 2, and isn't it gorgeous!!!! This is one of those less words, and more images post ... purely because my words won't do it any justice. 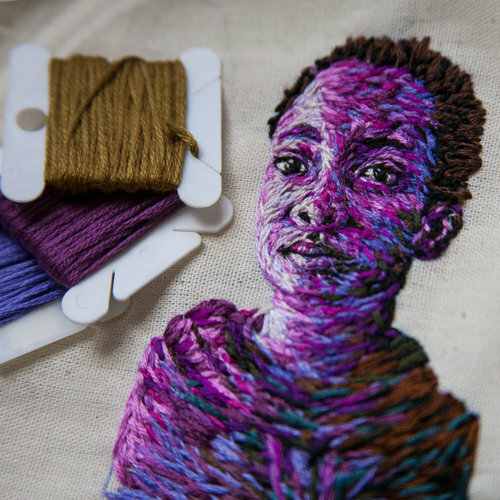 Keeping in line with the original I have been shooting and embroidering portraits. So for this project, photography has been a strong tool in the process. 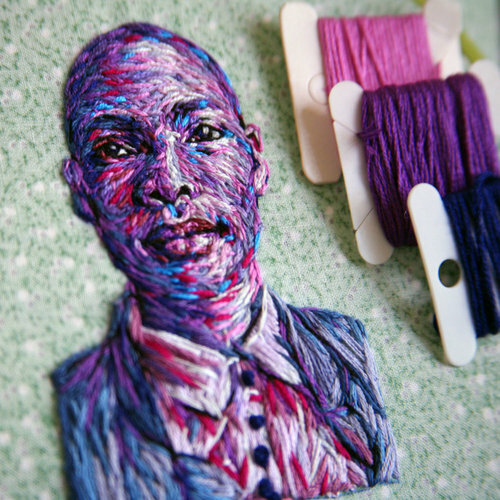 ... were drawn to Clough's work for the publication because of the conceptual linkage of her layered yarn to the personal narratives told in the book, which Zaba explained 'adds meaning and speaks to the zigzagging nature of our lives'. 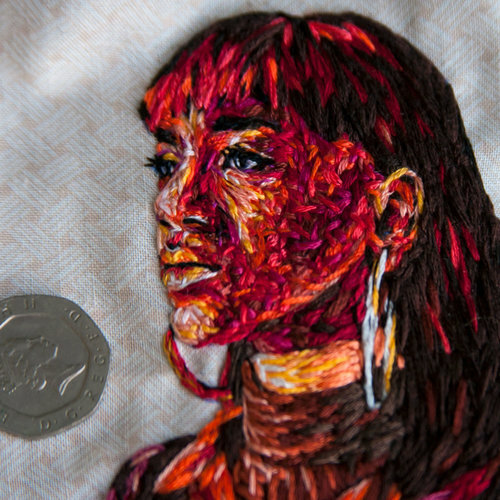 I love the textures, the vibrant colours and how detailed the faces are. Here's the full piece. 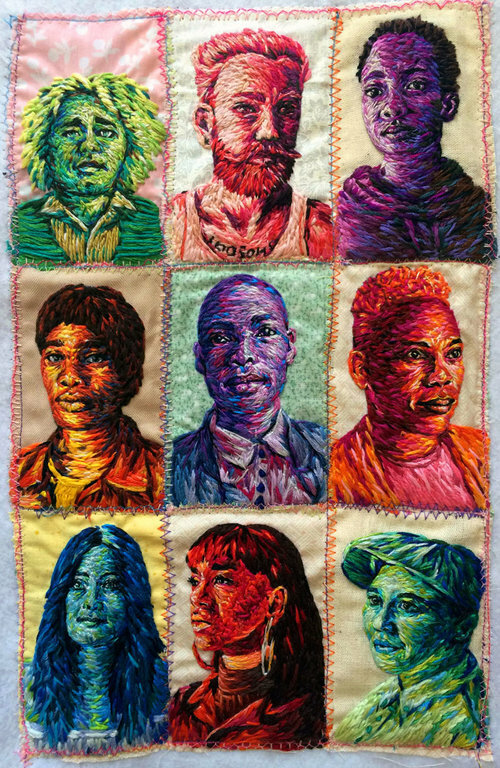 Some of the portraits that were embroidered for the cover. And a few of the individual pieces. Love it!!! Definitely check out Danielle Clough's website and her Instagram for the rest of her amazing work. If I'm not mistaken, Queer Africa 2 was meant to be published earlier this year (but would need to be double check). Your praise for this cover is warranted. The amount of work that must have gone into this ... wow. Just amazing.